What is the first thing every one of your guests will want as soon as they arrive at your wedding? (No, before the food…) A drink! 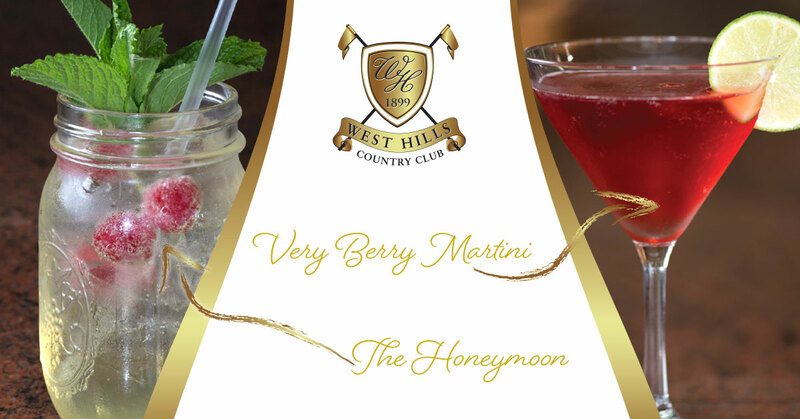 Here at West Hills, your guests are offered your signature cocktail from the moment they arrive at your wedding. Your signature cocktail is the first piece of your wedding that your guests will experience. It is your first chance to show off your taste, theme and personality, so you definitely want to “wow” them! If you dare to type in “signature cocktail recipes” on Pinterest, you are bombarded with hundreds of ideas and instantly overwhelmed. Here are some tips to finding the perfect recipe for you. Talk to your wedding venue! Your event coordinator may just have a list of ideas (much shorter than Pinterest) waiting for you. 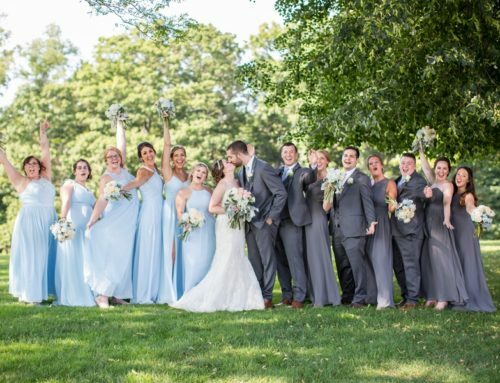 Is your wedding in the peak of summer? Or is it in the fall just as the leaves are turning golden brown? Either way, there are tons of ideas! 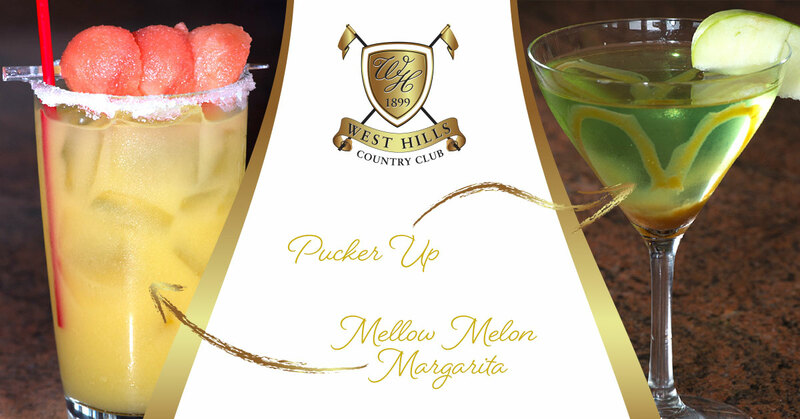 Our summer favorite at West Hills is our Mellow Mellon Margarita. With tequila, orange juice, Agave Nectar, and a little bit of lime juice, this drink will leave your guests feeling refreshed and ready to party. In the fall, we love mixing sour apple liqueur and vodka with a caramel drizzle to tie in all the tastes of fall. Give the presentation a makeover. Sick of the traditional drinks served in traditional glasses? Maybe a Moscow Mule is the drink for you! The Moscow Mule is served in a copper-made mug. There are many different recipes besides the Original Moscow Mule that will go great with this modern mug. At West Hills, we even serve some of our seasonal sangrias in mason jars! Looking for your “Something Blue”? You have found your something old, your something new, your something borrowed…but you just can’t find your something blue. Check this off your list by adding some Blue Curacao to your signature cocktail. 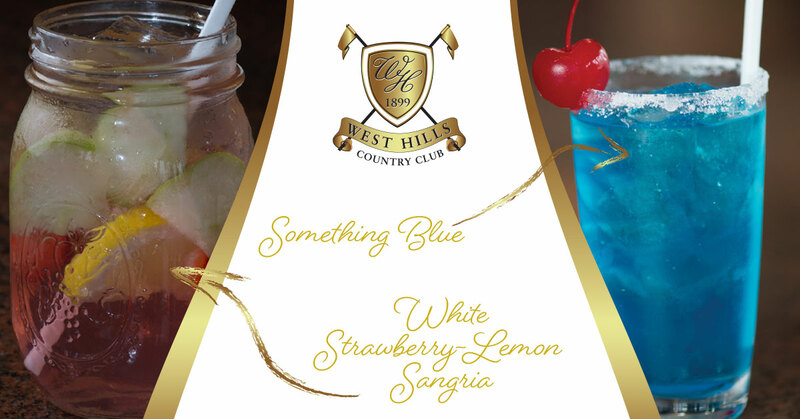 Give us a call at 845.341.1899 and ask about all the signature cocktails that we feature here at West Hills Country Club.